So pretty, right? 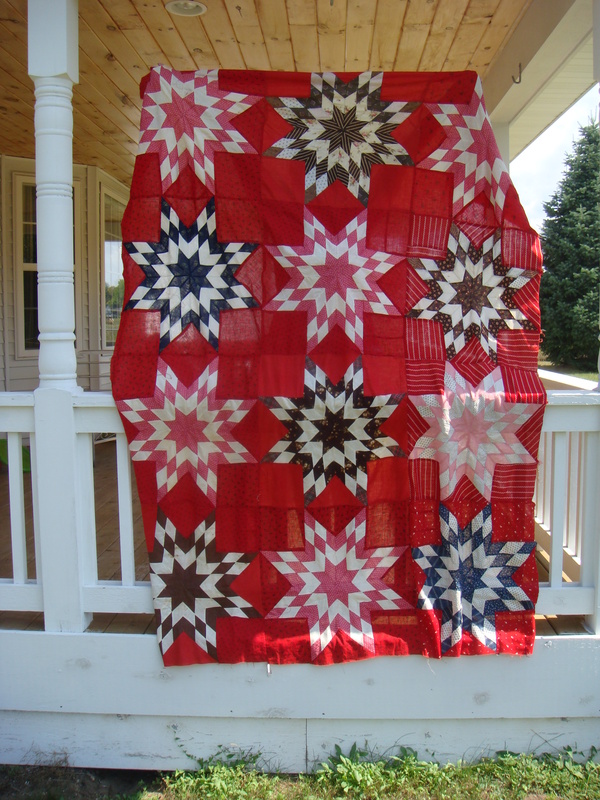 I liked the colors and design right away but my “quilt budget” is not unlimited and we were going to a quilt shop next so I decided to let it go with the fervent hope that someone else would come along and love it. Woah! That girl has got some curves. I investigated the back of the quilt top and it appears that someone’s grandma expertly hand pieced all the diamonds and then someone a little less savvy added all the red setting pieces with a machine. Perhaps that person got discouraged and banished the project to the land of forgotten WIPs. BUT… but but but what that person may have forgotten is this: even a bad quilt is still a quilt, and quilts are really almost 100% of the time a-mazing. To me, that’s the great lesson of this quilt. It’s a message of consolation for those projects that we feel are less successful than others. It’s a message of encouragement to first-time quilters that their quilt will be amazing no matter how flawed. And, of course, it’s an exhortation to keep your eyes open at antique stores! 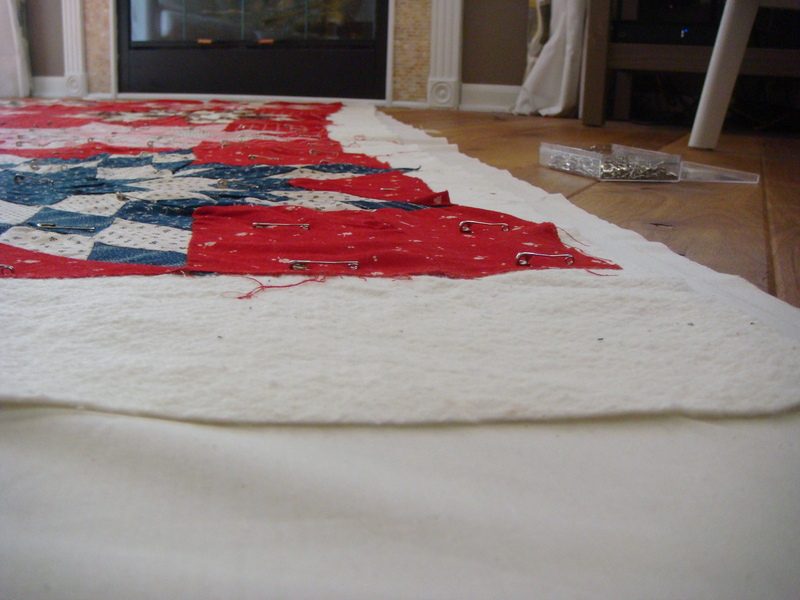 We backed it in a high quality cream muslin and I outline quilted all the stars. My mom is hand quilting X’s in the red boxes and then we’ll bind it. It’ll probably always have stains and curvy edges and might never feel soft and clean like a new quilt. But it will be absolutely stunning hung over a vintage ladder in my parent’s living room. What a privilege to finally finish this multi-generational effort.